This is written for those in my life who are involved in some way with machine embroidery, which is currently a lot, because a good deal of the work I do these days to earn my living is in the embroidery industry. Have you heard the newest version of the old light bulb joke, the one about how many people it takes to screw one in? It goes like this. How many people does it take to embroider a single garment? If you are a machine embroiderer, your first instinct might be to answer “Just one, all it takes is an embroidery machine, an embroidery design, some thread, some stabilizer, and the garment.” To some extent, this answer would be correct, like the answer to the light bulb joke. But to say it takes one person to screw in a light bulb is to really miss the point of the joke, and to say it takes one person to embroider a garment misses a whole series of points, each of which I think is hugely important. Let me give you some background before I tell you why. One of the things that fascinates me about embroidery is that it is both invisible and everywhere. Perhaps I’m just the type not to notice such things, but, in my experience, embroidery is the type of thing that you didn’t really think about at all as any kind of viable economic or creative force until you actually do embroidery or work in the embroidery business. Then, you take a careful look around and you realize that embroidery is everywhere; on jeans, on hats, on shirts, on towels, on handbags. I don’t think it’s a stretch to say that just about everyone with a certain amount of material possessions has something with embroidery on it. Many industries are like that, of course, but, because I’m immersed in it, I’m going to pinpoint the machine embroidery industry, specifically the part that caters to those who do embroidery as a hobby and not as a business. 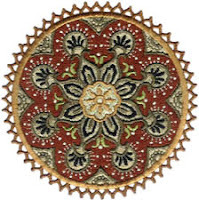 What ordinary people are currently doing with these tools that the embroidery business is giving them is remarkable. 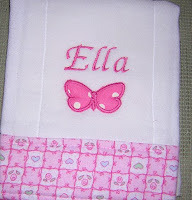 If you own an embroidery machine, or know someone who does, you already know what is possible. People, regular people who you might not have ever thought of as talented or creative, are able to take everyday items -- from jeans, shirts, tablecloths and towels to umbrellas, Christmas ornaments, handbags, and iPod covers -- and create designs on them limited only by their imagination. Designs can be abstract or can assume forms like animals, letters, Disney characters, flowers, cars, and anything else under, beyond, or including the sun. You might think that to make such creations would require a great deal of training and commitment, but even beginners, with the right equipment, can do it with relative ease. In other words, the barrier to entering this secret world of the sew creative is not expertise. The main obstacle to joining this particular society is usually money. Machines that do embroidery can come as cheap as a couple hundred dollars, but ones with full functionality can run as high as several thousand. It might not therefore surprise anyone that a personal pursuit that requires an investment of both time and money caters to an older clientele. For those with the means and the time, though, the investment is generally a small price to pay for the feeling of accomplishment that accompanies a project well done, or even done at all. It is also interesting, but perhaps not surprising, that it is an industry run mostly by men, even though the overwhelming majority of both those who use the tools, and even those who use what the tools produce, are women. So, put simply, the men make the stuff and the women buy it and use it. That is not to say that there is not a significant constituency of women in the industry; it is only to say that the place the buck stops is usually a wallet, not a purse. Depending on how you look at it, this either means that the men have the power, or the women have the power, in this relationship. At first blush, it would seem quite obvious that, if the spoils of victory be measured in the currency to which we seem to assign the most value, namely money, that the men have, once again, come out on top. This would not be the only industry in which men sell to, even exploit, the whims of women for their own gain. Fashion, cosmetics, jewelry, weight loss; all industries in which the vehicle is provided by women but driven by men. My response to that would be to wonder whether the right currency is being used to measure influence. To illustrate my point, I refer to another industry in which I was involved that was also top-heavy (sorry!) with women. Living and working as an English teacher in Japan, and later opening my own ESL school here at home, gave me a different perspective on the battle of the sexes. Most instructive is one particular instance, where I was assigned by my employer in Japan a class of “housewives”, which many other teachers had turned down as being below their eminent qualifications. Fortunately for me, I accepted the assignment, and this turned out to be an amazing and insightful group. First of all, there is no such thing as a "simple housewife"; each person harbours a complex intellectual life regardless of who she is or what she does. Even by those standards, however, this was no ordinary group. Included among the “housewives” were a lawyer, a scientist, several successful businesswomen, and even a Buddhist monk. They were all ostensibly there for the English, but most of them just wanted to communicate, in any way possible, and to really know where they stood in relation to my culture. It is commonly held that Japan is a male-dominated culture; the men have all the best jobs, make up the majority of politicians, and have certain actions tolerated that many of their male counterparts in the West might envy. For example, we had during this class a very informative discussion one day about the propensity among Japanese men in a certain age range to cheat on their wives. With my own cultural sensibilities, I was surprised, one might even say shocked, at the comments from many of the ladies as to how they viewed their husbands’ behaviour. Rather than wrath or scorn, which I thought I was justified in expecting, the pervading attitude was one of disinterested resignation, and often even amusement. In other words, rather than condemning the trait, most of these women saw the compulsion to philander as an inevitable part of being a man of a certain age and at a certain stage in life. They used the Japanese expression, "Sho ga nai", which, translated, means something along the lines of "That's life" or "It can't be helped", and it used to refer to situations that one shouldn't worry too much about because of their inevitability. When I tried to imagine having anything remotely resembling this conversation in a room full of Western women, I found it virtually impossible. I naturally thought prudent to ask them how they could possibly turn a blind eye to something that, at least in my eyes, is as fundamental to a relationship as infidelity. Many of them responded in similar fashion. Their message to me: We Have The Power. The more we know about and willingly allow, the more control we have in our relationships. You can cry about something that may very well happen anyway, or you can use it to get what you want. On occasions when I have relayed this story to female friends of mine who share my cultural background, the first reaction has been to dismiss this group of housewives as deluded and probably unhappy, perhaps having resorted to justification as a defense mechanism against a sense of being deeply hurt. In the four hours per week that I spent with them over the course of eight months or so, however, this was not the impression that I got. On the contrary, these were very strong and self-assured women, who enjoyed their lives, loved their families, appreciated their marriages, and wanted the best not only for their loved ones but also for themselves. The message that I take away from this is not that I can now cheat on my wife and feel justified in doing so. Rather, it showed me how important perspective is to power. So, in an industry run by men but enjoyed primarily by women, who would you rather be, the producer or the consumer? Who has the power, or does it even matter? On the producer side, people who run their own businesses hear all the time how wonderful it must be not to work for anyone. My response to that when running my own businesses was always that, while the person saying that might have a single boss, or a couple, I had all my customers, and the chances were pretty good that they were much tougher and more demanding than that person’s boss. I always felt that my customers had more power than I did. On the consumer side, all of the Internet marketing gurus telling companies how to attract eyeballs and sell stuff and make money now preach the power of speaking to the customer on her terms, because she is so very important. What I find funny about this is that they make it sound like this is a new idea. In fact, it is only new in that it applies to a relatively new medium. 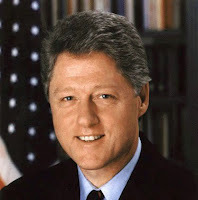 Commercial success has always been about the ability to communicate through one’s product, service or message on the most individual level possible, in the same way that personal charisma, the elixir of social success, is about connecting en masse but individually (ask Bill Clinton) with people. Even artistic success is about not much more than attracting anywhere between a small group and a multitude of viewers but reaching each in a personal and fundamental way. It has never been about speaking to the masses, it has always been about speaking to the person. Mass media and the distribution of mass goods just mean there are more persons to whom can be spoken. At the end of the day, I have found arguments about power to be circular, and therefore unwinnable. Some find their own unique threads in life by figuring things out, by tinkering with things and producing things for profit. Others seem to have their paths laid out before them by figuring that, no matter how much they try to figure out, they're only going to get so far, and so, beyond that, they might as well just accept, and enjoy, whatever comes their way. That the currency of our culture rewards the former over the latter, does not necessarily mean that it is better. A consideration of the complexity of it all, and learning how to manipulate your understanding of that complexity into professional gain, will certainly get you places, but the real question remains whether or not those are places you really want to be. Here is where I come back to my variation on the light bulb joke. How many people does it take to embroider a garment? Being in the industry has made me realize that one is the wrong answer, because of how much cooperation it takes to bring us even simple things, let alone complex things. People work full time on providing ways to put stitches together, how much space to tell the machine to put between them, how to limit the number of times the needle must strike the fabric, and then on software that will let the computer tell the machine how to turn that information into an actual piece of embroidery. And then you have the operating system and the computer on which those tasks are performed, the inventor of the craft of using a needle and thread to fasten and all manufacturers since then who have taken raw materials and made them into needles and thread. And then there is the machine to which the computer speaks, and the makers of all the components and intelligence that go into that machine, the transportation companies that moved the components, those who made the vehicles and all the composite parts of the vehicles that transported them, the makers of the dye that coloured the thread, the growers of the plants from which the dye was extracted, everyone involved in isolating and processing the chemicals that make up the rayon or polyester in the thread, the people who cut down the trees for the wood that the spool is made of, the mill that made that wood into lumber, the makers of the tools that fashioned all these parts into the shapes they end up in, the workers that mined the minerals and metals, the engineers that found those deposits, not to mention all the people at all the companies that supply these companies, with buildings, with furniture, with heat or air conditioning, with paper, with coffee, with carpets. Look around you, where you are right now, and think about it for a moment. Millions upon millions of people have collaborated to put you exactly where you are, on the floor where you or your chair is standing, in the clothes you’re wearing, in front of the screen you’re reading. In some measure, each of these people forms a part of your life. No matter how much we may individually lose or give up the ability to properly consider complexity, and how much work goes into even the simplest function we take for granted, we know when we reflect that it is still all about cooperation. Whether the common thread of which I speak starts from those who figure out and prosper, those who work for them and help them execute what they have figured out, or those who just enjoy the results, that thread runs long and in very complex patterns. There are great economic distances between people, to be sure, but when a tool, like an embroidery machine, is built by some to allow and indeed empower others to create something in their own right, then the whole thing comes full circle. You can be sure that the one who built that machine, a creator of some sort in that part of his/her life, is a consumer in most other parts of things that others have created. If you stop to think about it, there is simply no getting around the fact that we are all cooperating with each other to make each other’s lives easier. Of course, easier does not necessarily mean better, but it certainly can. Having made each other’s lives so much easier, our task is to figure out how to go ahead and make each of those lives better. I’m pretty sure that an important part of that is learning to better recognize everyone else’s contribution. That starts by realizing that it not only takes a community to raise a child, but even to screw in a light bulb. One great passage in a book I love speaks of the durability and ubiquitous nature of atoms. For example, in the acts of living and dying, each of us contains or comes in contact with an immeasurable number of atoms, so it has been calculated that every single living human contains atoms that once belonged to every other living human being who lived more than 60 years ago. In other words, on an atomic level, each of us contains pieces of every major and minor historical, religious, royal, or commercial figure there has ever been, prior to about 1950. This is interesting on any number of levels, and I love what it means, but I don’t think it’s true only of atoms, which are so very difficult to imagine on any meaningful level, and I don’t think you have to be a scientist to apply the lesson. I think it also applies to tangible, measurable things that our minds and our hands have created. If something as simple as embellishing a towel with embroidery requires millions of people, imagine how many such actions each one of us performs in a day, and how many people had to cooperate to make each of those actions possible. Whether putting on clothes, taking a shower, eating breakfast, going to work, or watching a movie, almost everything we do we are able to do as a result of a receiving blanket woven from an immense matrix of intersecting threads of cooperation. If with our own creations we can reproduce even a pale imitation of the tapestry created by the threads of our cooperation, we will have created something of great and eternal beauty.